It is 1992 in Warsaw, Poland, and the communist era has just ended. 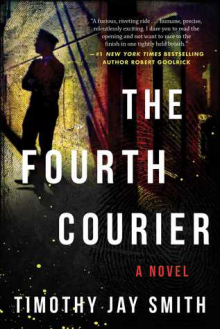 A series of grisly murders suddenly becomes an international case when it's feared that the victims may have been couriers smuggling nuclear material out of the defunct Soviet Union. The FBI sends an agent to help with the investigation. When he learns that a Russian physicist who designed a portable atomic bomb has disappeared, the race is on to find him—and the bomb—before it ends up in the wrong hands. http://irresponsiblereader.booklikes.com Irresponsible Reader 3.0 A Great Crime/Espionage Premise is Squandered in a Novel that Doesn't Know What It Wants to Be. text A Great Crime/Espionage Premise is Squandered in a Novel that Doesn't Know What It Wants to Be.